Melvyn Bragg and his guests discuss the Japanese belief system of Shinto. 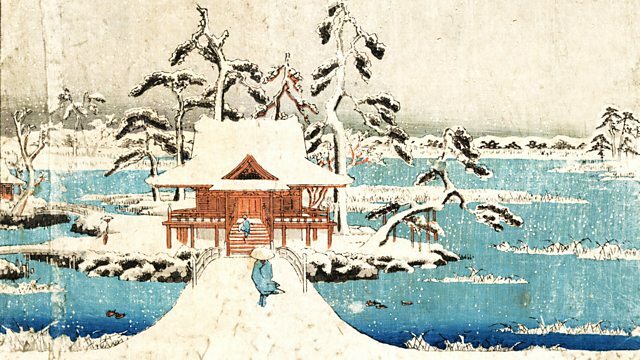 Melvyn Bragg and his guests discuss the Japanese belief system Shinto.A religion without gods, scriptures or a founder, Shinto is perhaps better described as a system of belief. Central to it is the idea of kami, spirits or deities associated with places, people and things. Shinto shrines are some of the most prominent features of the landscape in Japan, where over 100 million people - most of the population - count themselves as adherents.Since its emergence as a distinct religion many centuries ago, Shinto has happily coexisted with Buddhism and other religions; in fact, adherents often practise both simultaneously. Although it has changed considerably in the face of political upheaval and international conflict, it remains one of the most significant influences on Japanese culture.With:Martin PalmerDirector of the International Consultancy on Religion, Education, and CultureRichard Bowring Professor of Japanese Studies at the University of CambridgeLucia DolceSenior Lecturer in Japanese Religion and Japanese at the School of Oriental and African Studies, University of London.Producer: Thomas Morris.